Mumbai: Actress Sonakshi Sinha is really excited about the year ahead and says the audience will see her narrating different stories in 2019, which she hopes will be enjoyed across genre. "I'm really excited for the year to pan out. Doing all these interesting films, narrating such different stories and playing characters so far apart from each other is what made me opt for these projects when the offers came my way," she said in a statement. The actress will be seen in Abhishek Varman's period drama "Kalank", and then in India's first space film "Mission Mangal". She is currently shooting for an yet-untitled film in Amritsar. Directed by Shilpi Dasgupta and jointly produced by T-Series and Mrighdeep Lamba, the film is scheduled to release in August this year. She will end the year with "Dabangg 3". The actress said the "prep and head space for each character has been very individualistic and the process of unlearning and relearning has been a constant". "Every director's narrative and each character's journey is so different which makes this entire process riveting. "I'm really looking forward to the year ahead and I hope the audiences enjoy my performances as much as I'm enjoying working," she added. Mumbai: Actress Sonakshi Sinha has started shooting for her next film in Amritsar, Punjab. Sonakshi on Friday posted a video of herself: "Ready to begin film #23. Wish me luck." She then shared a photograph of herself along with actor Varun Sharma and filmmaker Mrighdeep Lamba. "Naya din, nayi film... naya kaam... but no naam yet (new day, new film but no name yet) First day of shoot today, will tell you the name as soon as we know! Wish us luck," the actress wrote. The yet-untitled film is directed by Shilpi Dasgupta and jointly produced by T-Series and Lamba. Other details related to the film are still under wrap. 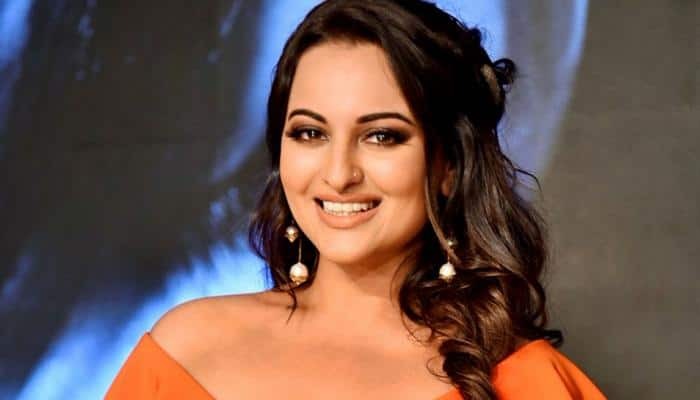 Mumbai: Actress Sonakshi Sinha, who will soon start working on 'Dabangg 3', said that shooting for the action-drama film is like a homecoming for her as she ventured into Bollywood with the franchise. Sonakshi, who was interacting with the media at Chrome Pictures 15th anniversary celebration and success party of "Badhaai Ho" on Saturday, made her acting debut opposite superstar Salman Khan in "Dabangg" in 2010. Talking about shooting for the film, Sonakshi said: "I am very excited to begin shoot of 'Dabangg 3'. After the release of 'Dabangg' and 'Dabangg 2', we took a long break. Now we will begin shooting of 'Dabangg 3'. I have started my film journey with "Dabangg' so it's like a homecoming for me so, I am very excited." Sonakshi collaborated with the director of "Badhaai Ho" Amit Sharma in "Tevara", which was his first film as a director. Praising him, Sonakshi said: "I am so proud of Amit Sharma. I am the heroine of his first film so I am so happy for him and so proud of him and the work that he has done is tremendous." She added that Sharma is one of her "favourite directors". Asked is she feels that now small budget films are getting more acceptance from the audience, Sonakshi replied: "I feel it doesn't matter whether your film is a big budget film or a small budget film. If your film's script is good and if it is content driven, then it definitely works at the box office." "Dabangg 3" is being produced by Arbaaz Khan and directed by Prabhudheva. This Kannada star to play baddie in Salman Khan starrer Dabangg 3? New Delhi: Salman Khan's 2010 blockbuster 'Dabangg' clocked eight years in September 2018 and this was when Khan along with his co-star Sonakshi Sinha announced the third installment of the hit franchise. While 'Dabangg' was helmed by Abhinav Kashyap, 'Dabangg 2' was directed by Arbaaz Khan. Reports are there that for the third installment, Khan has roped in Prabhudeva to step into the director shoes and that the actor will begin shooting for the film as soon as he done with Ali Abbas Zafar's film 'Bharat'. In the meantime, reports have surfaced that the makers have roped in Kannada star Kichcha Sudeep to play the villain in the third installment. Mumbai Mirror quoted a source saying that Salman and Sudeep have been planning to work on a project for the longest time and it appears as things have finally fallen in place for them. As per the source, Sudeep's character in the film will have shades of grey. Only recently, Salman had shared the teaser of Sudeep's upcoming sports-drama 'Pailwaan' on the social media. 'Dabangg 3' is expected to go on the floors in April and will be shot for a period of 90-100 days. The makers plan to release the film in December 2019. Salman is currently wrapping up the last schedule of Zafar's 'Bharat'. The shooting is currently being held in Mumbai. The film also features Katrina Kaif, Disha Patani, Sunil Grover, Aasif Sheikh in pivotal parts. The venture is produced by Salman's brother-in-law Atul Agnihotri. Mumbai: Actors Sonakshi Sinha, Varun Sharma, Annu Kapoor, Kulbhushan Kharbanda and Nadira Babbar will shoot in Punjab for a slice of life entertainer. The shooting will begin on January 25. Directed by debutant Shilpi Dasgupta, the film has been written by Gautam Mehra. Based in Hoshiarpur, Sonkashi plays a happy-go-lucky Punjabi girl who adores her family and will go to any length to see them happy even if it means not living her dreams. "I am extremely happy to be part of this film which is so close to the world around us, to step into the shoes of a small town girl, and face the hilarious, madcap challenges thrown at her. Full of flavour, fun and emotions; I am so looking forward to begin this journey," Sonakshi said in a statement. Producers Bhushan Kumar and Mahaveer Jain have joined hands with director-turned-producer Mrighdeep Singh Lamba for the yet-to-be-titled film. Bhushan Kumar said: "It is a slice of life film with superb ensemble cast. The film will make you laugh, cry and fall in love with every character." Lamba added: "When emotions come strongly with laughter, it's a story worth one's time. The film explores the extraordinary dreams of an ordinary girl in a madcap world." The film is slated to release later this year. Reports are there that for the third installment, Khan has roped in Prabhudeva to step into the director shoes. 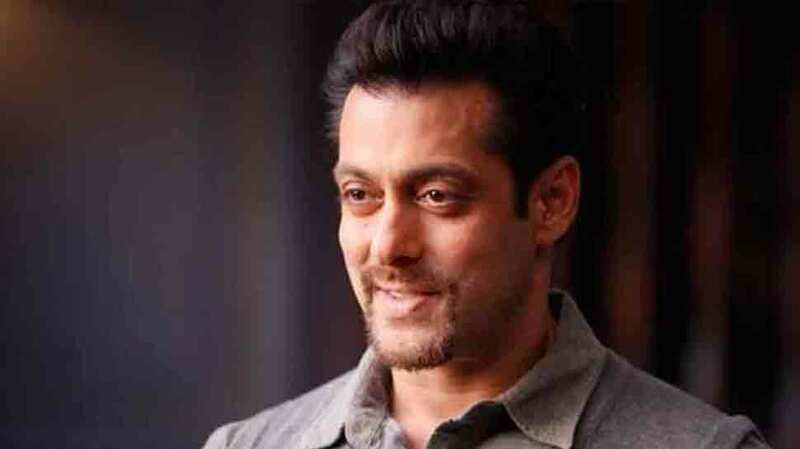 Salman, who is currently busy with Ali Abbas Zafar's 'Bharat' will begin filming for 'Dabangg 3' shortly afterwards. And confirming the same, Arbaaz said, "Yes, Dabangg 3 will go on the floors in April, however, we are still contemplating the locations. At this point, all that I can say that the film features Salman Khan in lead and will be directed by Prabhudeva." Earlier, speculations were rife that the film would be inspired by the real-life story of a cop based in Noida but the reports were quashed by Arbaaz. he said, "I have been reading a lot about 'Dabangg 3' on the social media, some say it is a remake, some say it is inspired by real-life incident, some say it is set in Noida. At present, I would like to maintain some secrecy around it." Salman and Prabudeva worked together in 2009 film 'Wanted' which went on to become successful at the Box Office. In fact, the success of the film helped Salman began the second inning of his career. In the meantime, the makers of 'Dabangg 3' are yet to announce the female lead of the film. It will be interesting to see if Sonakshi returns as 'Rajjo' in the film. Mumbai: Actress Sonakshi Sinha has wrapped up shooting for the upcoming multi-starrer "Kalank" and says she is very proud to be a part of it. "Just the beginning of the year, and the end of a new film! Its a wrap for me on `Kalank`... a project I am proud to be a part of! Cant wait for you all to see it. On top of the world," Sonakshi tweeted. "Kalank" also features Alia Bhatt, Sanjay Dutt, Varun Dhawan, Madhuri Dixit-Nene and Aditya Roy Kapur. Abhishek Varman is directing the epic drama, which will hit the screens on April 19. The film is being produced by Karan Johar, Sajid Nadiadwala, Hiroo Yash Johar and Apoorva Mehta. It has been co-produced by Fox Star Studios.